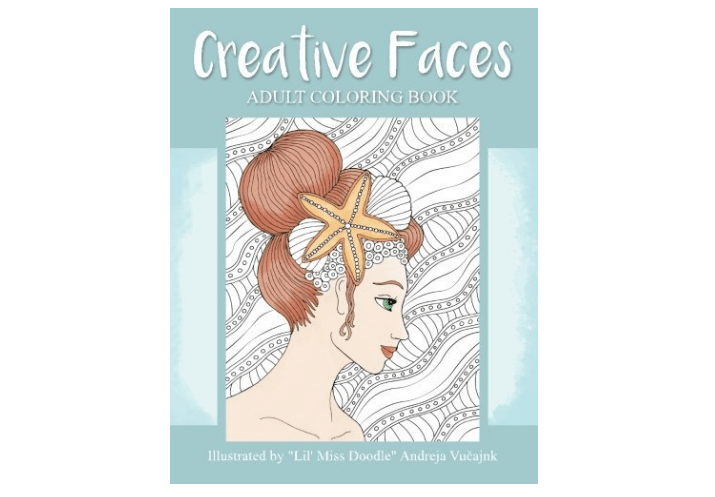 What better way to cool off on a hoot summer day than to go under the shade and color this ocean coloring page for adults? 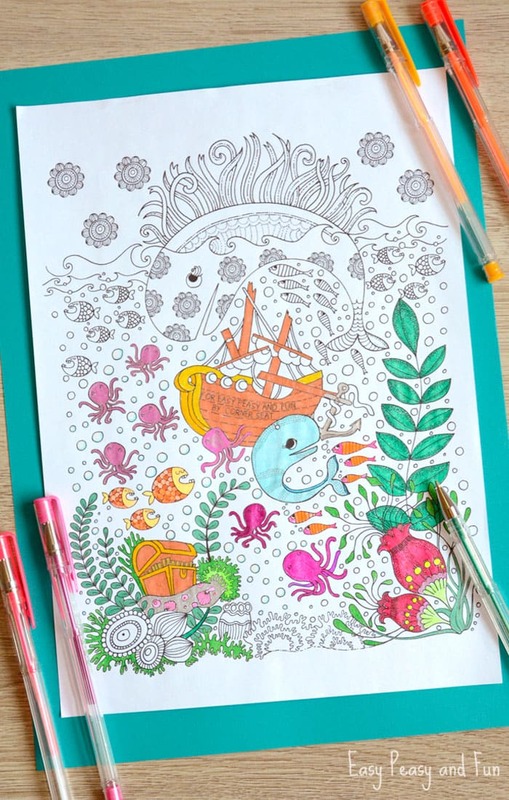 Last year I shared a set of amazing under the sea coloring pages with you drawn by the super talented Corner-seat and as the temperatures are rising again it’s time to dive into the cool ocean again. 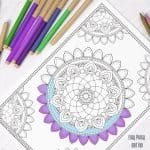 I just love this coloring page, I do love creating coloring pages but when it comes to coloring pages, I certainly enjoy coloring works from other artist more, Corner Seats being one of my favorites to color. 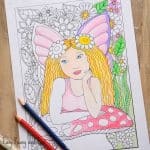 I was given a set of Art-n-Fly gel pens to try out and this coloring page seemed a perfect match as it has quite a few tiny details that are the easiest to color with gel pens. 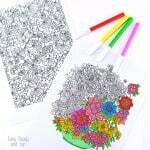 They run very smoothly and do not “scratch” the regular print paper, nor did they bleed through which is certainly a plus. 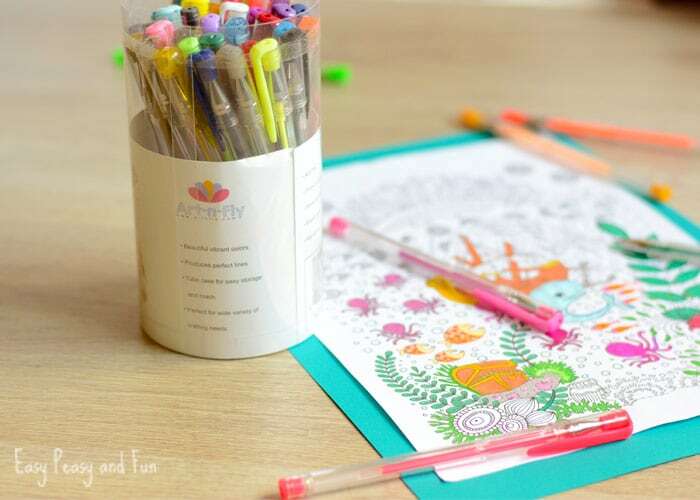 The color selection is nice enough (kind of perfect for this particular coloring page with a nice selection of greens, golden and pink to orange pallet). 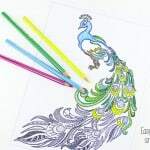 There’s also a white gel pen in the pack, which allows you to add nice 3D effects and shading (well the opposite of shading in this case). 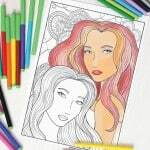 Ready to color? 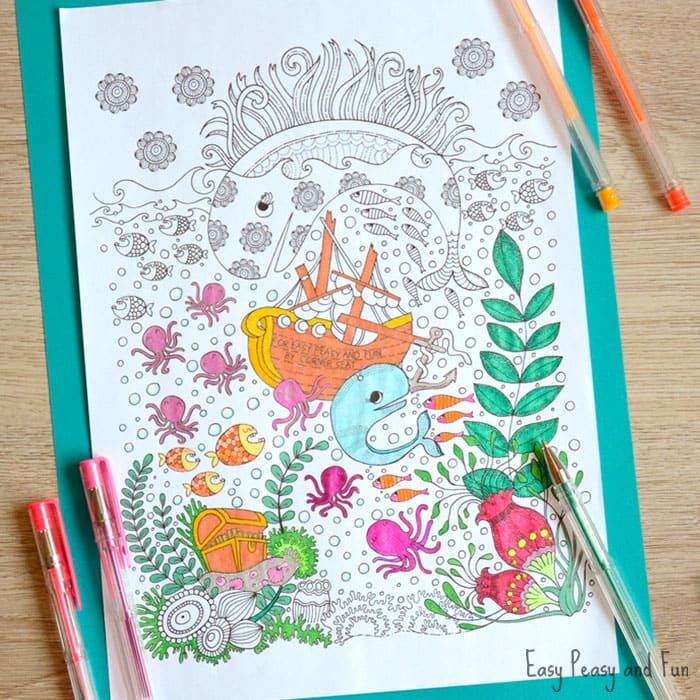 Grab this lovely printable page for free and relax (hopefully near the sea). Thank you and have a nice spring!